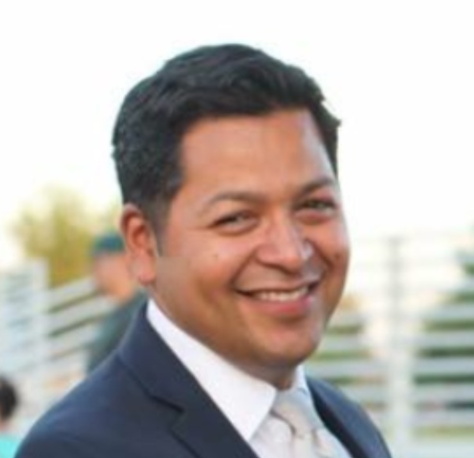 "An Extraordinary Learning Environment for your child"
"An extraordinary learning environment for Staff and students"
Superintendent Diego Ochoa began his tenure with the Hollister School District on Friday, February 8, 2019. Superintendent Ochoa spent his first day on the job visiting every special education classroom and numerous other classrooms at Maze Middle School, Sunnyslope Elementary School, and Gabilan Hills/Hollister Dual Language Academy. Superintendent Ochoa said, "I knew that I would see amazing examples of teaching and learning today and I was not disappointed. I visited a second grade classroom where all students, including students with special needs, were working on a project to build a robot. I was blown away!" Superintendent Ochoa also spent time at the SELPA Day held at San Benito High School. The event featured presentations from SBHSD special education staff. Attendees included Dr. Shawn Tennenbaum of the SBHSD and Chris Lompa SBCOE SELPA Director. Superintendent Ochoa said, "I appreciated the opportunity to learn about the programs and services offered by our partner district. I was also pleased to meet all the educators in attendance who dedicate their efforts to helping children with special needs." Superintendent Ochoa ended his day at Gabilan Hills/Hollister Dual Language Academy and spent time visiting classrooms with Principal Monique Ruiz. During his visit, they encountered a classroom completing a culinary exercise that involved cooking butternut squash soup. Superintendent Ochoa said, "I was excited to see our teachers engaging students in a cross-curricular activity that merged math, science, and nutrition education." Superintendent Ochoa will visit all schools in the Hollister School District by Friday, February 15, 2019. During his school visits, he will spend time with principals and observe the teaching and learning that takes place in our schools.